There’s no slowing down with the Google today. They’ve been grabbing feedback like bottled water before a storm and incorporating it in the preview layout. 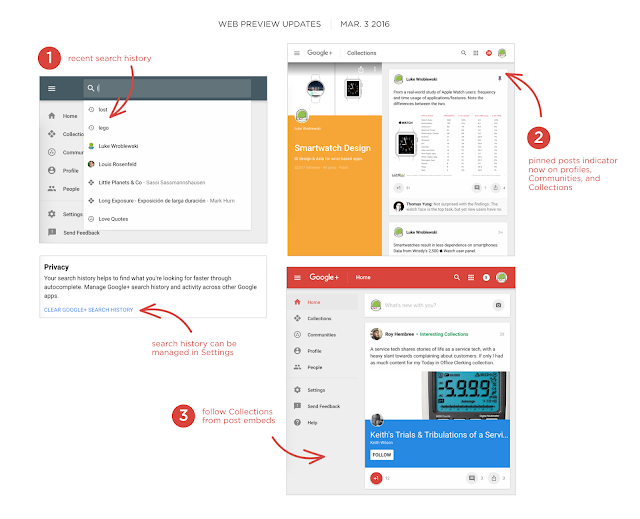 Don’t be surprised if a few updates hit your G+ before the day’s through. These updates make me really hopeful for the direction of the platform. It shows Google is invested to keep on their toes with everything our community wants. It’s not long now that this preview layout will be ready for the big leagues. There’s still a few missing options to incorporate and improve upon, but that’s for another day. As with all of Google’s fresh code batches, there’s going to be more on the way. The community has been looking for search improvements for a while. I’m confident there’s more where that comes from soon. In fact, could we get a search function in Hangouts, please? I can’t be the only one still using the Gmail workaround. Sorry, I’m off my soap box now.